Your bedroom should be your own personal cozy oasis. To achieve feelings of comfort and satisfaction, you can’t only put effort into your furniture and the way you style your bed – you also have to think about the walls. Perhaps you don’t want to clutter the space with too much decor, and that’s fine. An accent wall can be the statement you need to achieve the look and feel you’ve always wanted. 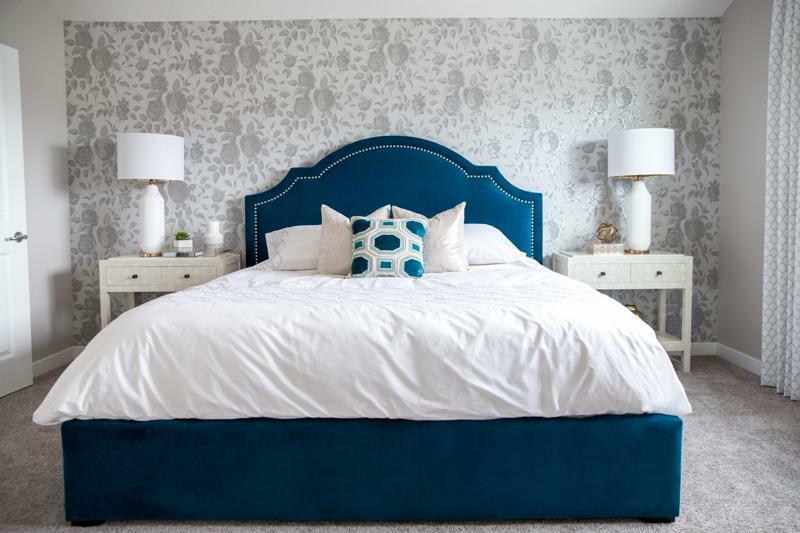 Take a step away from the traditional painted accent wall and think about one that’s two-toned instead, as suggested by Houzz contributor Becky Harris, writing for Forbes. Choose colors that will flow with the rest of your bedroom, or use this wall as a launching pad to restyle the entire room. Using reclaimed wood throughout the house is a major trend at the moment – likely due to the ever-popular rustic modern theme – so why not use it in the bedroom? Peel-and-stick wood panels allow you to achieve a wood plank accent wall that can bring the cozy vibe with ease. While chalkboard paint is a popular option in a kitchen or kid’s room, there’s no reason you can’t use it in your own room to create an accent wall. This is a fun way to add character to your room, allowing you to have a slick black moment or let your creative juices flow and switch things up from time to time. To avoid getting dust all over your living space, invest in chalkboard markers instead of traditional pieces of chalk for a mess-free project. Over time, wallpaper has claimed a bad reputation due to its traditionally tacky design and how difficult it is to remove. Today, temporary wallpaper is available and it comes in a variety of trendy colors and styles. Consider this option if you’re looking for something that will last a while, but doesn’t necessarily have to be permanent. Use wallpaper to achieve a subtle accent. If temporary isn’t on your mind whatsoever, consider painting a mural in your bedroom. This is a playful and sophisticated option for bringing your style and creativity to life. Whether you want to hang pictures of you and your significant other, or display pieces of your own digital artwork or photography, putting a photo collage on display is a gorgeous option for an accent wall. Decide whether you’ll match the frames or use different shapes, sizes and colors to display your pictures. If you love these ideas but can’t narrow it down to one, you may need some professional advice about which option would look best in your bedroom. A personal decorator from Decorating Den Interiors can come to your house for a free consultation to go over the different accent wall types and help you make your decision. With his or her insight, plus your own personal style and opinion, you can pick the best accent wall arrangement and get right to work. Does your bedroom need a pick-me-up? Don’t hesitate to contact a design consultant from Decorating Den Interiors to get started today!